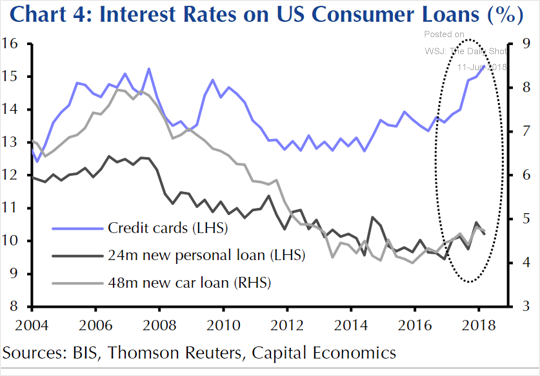 The United States: Consumer loan rates have diverged, with credit cards outpacing other types of debt. 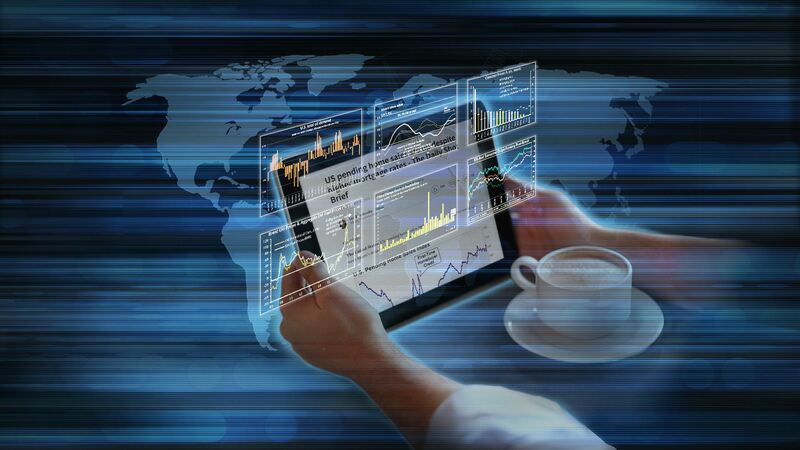 Can the auto industry withstand significantly higher car loan rates? 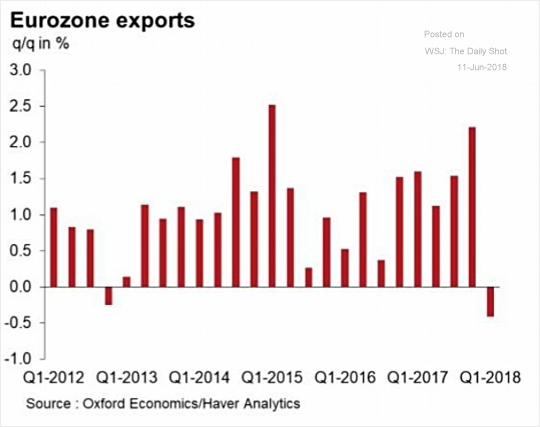 The Eurozone: The Eurozone’s export growth slumps. 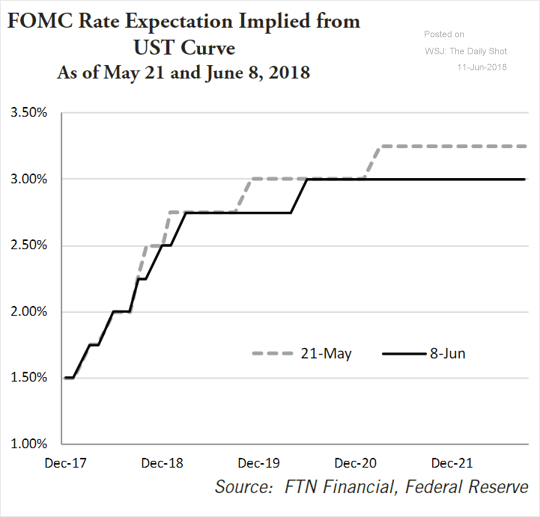 Rates: This chart shows the Fed’s policy rate trajectory implied by the Treasury curve. 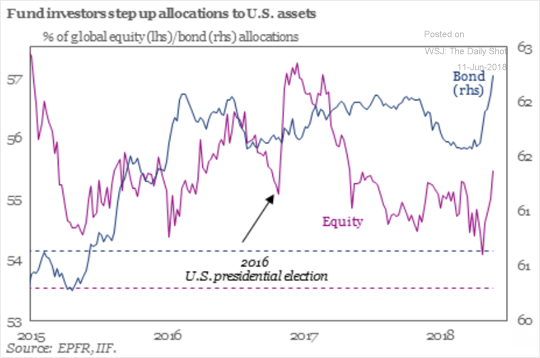 Equity Markets: Fund investors recently boosted allocations to US stocks and bonds. 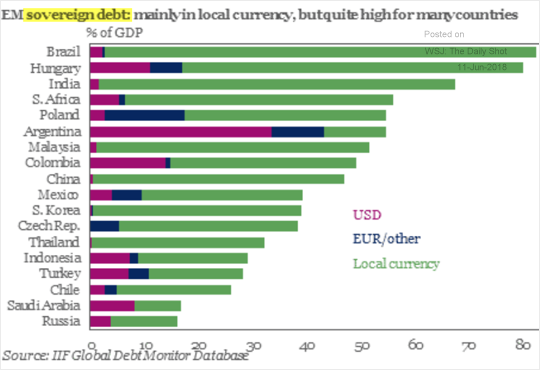 Emerging Markets: This chart shows hard-currency and local currency debt by country (as % of GDP).